Each member institution in the GeM Consortium will have a representative on the Steering Committee. Dr. Adrienne M. Flanagan is a clinical scientist with experience in diagnostic cellular and molecular pathology. Her particular interest is in soft tissue and bone tumor pathology. She has exploited human diseased tissue and the technological developments in nucleic acid with the aim of correlating histological phenotypes with genotypes. This has allowed her identify new biomarkers for classifying disease which has allowed more robust diagnoses to be provided to patients. She is the clinical pathology lead for the largest sarcoma service in the UK. She is also the medical director of the largest diagnostic immunohistochemistry and FISH laboratories in the UK. 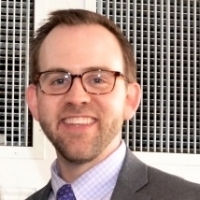 Dr. Jesse Hart is an assistant professor of pathology and laboratory medicine at Brown University and a surgical pathologist at Lifespan Academic Medical Center. He has a particular interest in bone and soft tissue pathology. He provides the majority of diagnostic evaluations of adult sarcoma cases for patients at Lifespan Academic Medical Center, including malignant peripheral nerve sheath tumors (MPNSTs). Dr. Angela C. Hirbe is a practicing medical oncologist who treats sarcoma. Her research focuses on utilization of genomic information from sarcomas to better understand the pathogenesis of these tumors and to identify biomarkers and therapeutic targets for these aggressive cancers. Her main interest is in the pathogenesis of malignant peripheral nerve sheath tumors (MPNSTs). Dr. Justin T. Jordan is the associate clinical director of the Pappas Center for Neuro-Oncology at Massachusetts General Hospital (MGH). Through this affiliation, he routinely evaluates and treats patients with meningiomas, and has developed clinical expertise in the diagnosis and treatment thereof. He has collaborated with a team of clinical investigators to show an increased risk of cerebrovascular disease among patients with neurofibromatosis, type 1 (NF1). Additionally, he has worked with a neuropsychology group to investigate patient reported outcomes among patients with NF1, as well predictors of patient satisfaction with NF1. Dr. Raymond Kim is currently a medical geneticist at the University Health Network and the Hospital for Sick Children leading their germline cancer genetics program. His current research interests lie in the use of genomic technologies for in hereditary cancer syndromes. This includes whole genome sequencing and circulating DNA techniques. He helped establish a multi-disciplinary Neurofibromatosis clinic for adults in Toronto, with a direct link to a pediatric Neurofibromatosis clinic, with a combined size of >300 families. He is also involved in the sarcoma/soft tissue oncology group in the adult cancer centre at Sinai Health System which is a central referral hub for malignant peripheral nerve sheath tumours. As clinical director of the pediatric brain tumor program at the University of Minnesota, Dr. Christopher Moertel leads both the brain tumor and comprehensive neurofibromatosis clinics. He has active research collaborations with scientists in the cancer genomics and brain tumor immunotherapy laboratories in addition to fellow physician investigators in oncology, orthopedics and neurosurgery. His current research focus is on development of vaccine treatment strategies for brain tumors and directed therapeutics for plexiform neurofibroma and malignant peripheral nerve sheath tumor in patients with neurofibromatosis, type 1 (NF1). Dr. Yoshihiro Nishida has established, for the first time in Japan, an in-hospital multidisciplinary neurofibromatosis, type1 care network to detect MPNSTs early and initiate early treatment for patients at Nagoya University. As an orthopaedic oncologist, Dr. Nishida has treated patients with MPNSTs with both surgery and chemotherapy. Dr. Stewart is an investigator in the Clinical Genetics Branch, Division of Cancer Epidemiology and Genetics at the National Cancer Institute. His main focus is on manifestations of RAS-pathway disorders, (specifically NF1 and Legius syndrome), next generation sequencing of NF-1 associated tumors and the characterization of novel features of NF1. He is recognized for his expertise in NF1 genetic modifiers and the adult NF1 phenotype, especially pertaining to rare tumors and unusual presentations. Dr. Ullrich is an Associate Professor in Neurology and Director of Neurologic Neuro-Oncology at Boston Children’s Hospital. She is a clinical expert in Neurofibromatosis 1, including clinical trials for new drug development. She is the site leader at Boston Children’s Hospital for the Neurofibromatosis Clinical Trials Consortium, one of nine sites in the United States conducting clinical trials for NF1-related tumors. The goal of this Consortium is to develop novel therapies for patients with neurofibromatosis type 1 (NF1). Dr. Xia Wang is a clinical geneticist in the Individualized Cancer Management program at Cancer Moffitt Center. Dr. Wang is currently serving as principal investigator for a study on the risk and clinical characteristics of breast cancer in women with neurofibromatosis, type 1.